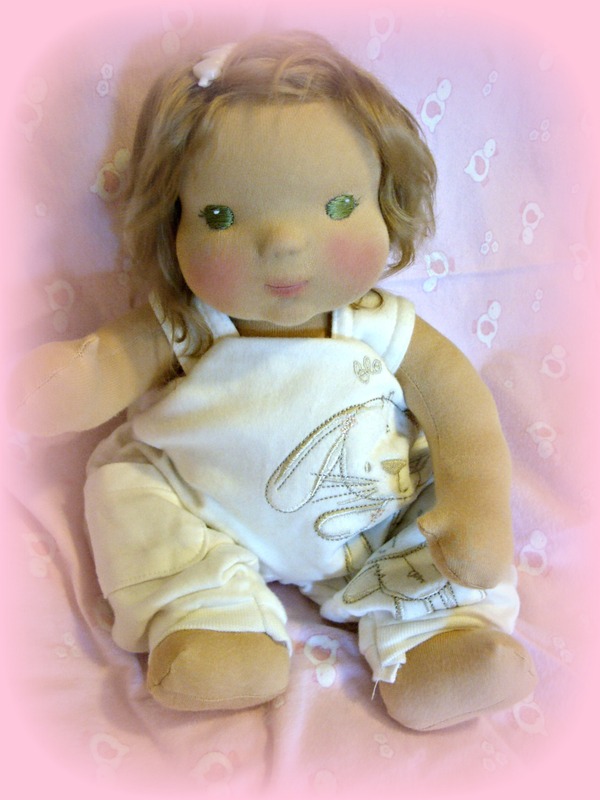 This is Honey, She has a added features lips and nose and she has the 14″ jointed baby body. She has beautiful big green eyes and her dark blonde hair is mohair. Her skin tone is tan. I will have her available Friday. Time TBA. I still have to make her diaper and shoes and resize this little jumper which was a real baby outfit but it really compliments Honey’s skin tone, so I hope I can make it work.